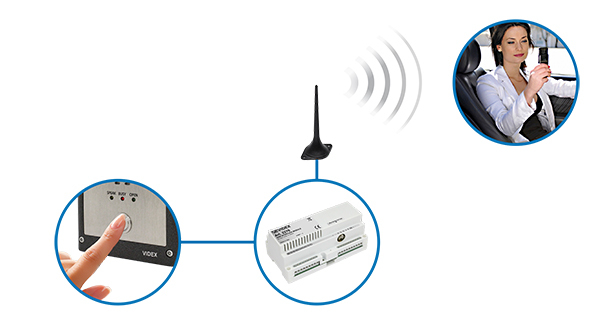 Videx, the experts in door entry and access control, has expanded its GSM range, introducing a new device compatible with its flagship VX2200 system, both 2 wire audio and 6 wire video versions, that enables audio calls to be made from any of the VX2200 entrances to a mobile phone or land line. Strengthening Videx’s presence in the GSM entry market, the 2270 is a 2G/3G device which is suitable for new and existing systems within residential apartments. It has the ability to call up to 180 apartments with the facility to release the door after verifying the caller. Further features include three auxiliary inputs which are fully programmable for a number of functions such as sending text messages and activating relays for different functions. The three relay outputs are also programmable for a number of functions such as remote relays for Secured by Design requirements, the official UK Police flagship initiative combining the principles of ‘designing out crime’ with physical security. For more information on the 2270 and how it enhances Videx’s GSM offering, please visit www.videxuk.com.